Hope Stockton earned her bachelor's degree in finance and history from Huntingdon College, a master's degree in management from Troy University, and is a PhD Candidate in Adult Education at Auburn University. She initially came to Auburn in 2003 as the Executive Director of the Blue Ridge Conference on Leadership in the College of Business. Prior to her employment with Auburn, Stockton spent 13 years in healthcare management and worked for the United States Army Budget Office in Vicenza, Italy. She brings 23 years of administrative and financial management experience to the office along with extensive experience in planning, developing and administering professional and continuing education programs. As the director, she provides leadership and administrative, financial and academic management for the OPCE. Brent Gibson joined Auburn University’s Office of Professional and Continuing Education in 2016 where he works as a Program Developer for the AU Challenge Course and AU Leadership Series. Brent has worked in various roles within the field of Outdoor Education for over six years. He received his undergraduate degree in Office Administrative Technology from Valdosta State University ('14) and his MSc in Recreation and Leisure Services from Texas State University ('16). Danell LaPread was employed for 20 years by a local manufacturer where her work was principally in the field of human resources. She joined the Office of Professional and Continuing Education in 2002, and provides support with Road Scholar, OLLI@AUBURN, and Community Course programs. Danell also works with registrations and graphic publication. 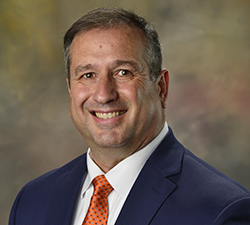 Mark Lipscomb joined Auburn University’s Office of Professional and Continuing Education in 2016 as a Program Developer for Community Courses. Mark has held multiple positions as a supervisor in the customer service sector for over 15 years. He received his undergraduate degree in Business Administration from Auburn University (’12). Marsha Peters has been with Auburn University since 1987. She joined the Office of Professional and Continuing Education in 1991. She provides administrative support in the role of finances, payroll, human resources and general office proceedings. Marsha grew up in Auburn and continues to love living in the loveliest village on the plains with her family. 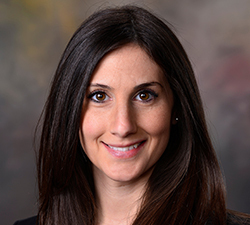 Amanda Salatto joined the Office of Professional and Continuing Education in 2016 as the Marketing Coordinator where she manages marketing and creative efforts to promote OPCE programs and events. Amanda graduated from Western Carolina University with a Bachelor of Science in Communication/Public Relations in 2004. She brings 13 years combined experience in education, marketing, and event planning. Alan Spencer joined the Office of Professional and Continuing Education in the Spring of 2016. He received his Bachelor’s degree in English from Alabama A&M University. Alan worked as an executive, in the non-profit sector, bringing over 12 years of experience in development planning, public relations, marketing, public speaking, administration, communications, fund raising and customer service. He now serves as a Program Developer for Conference and Event services. Claire Twardy received a B.F.A. in Graphic Design from the University of Georgia. She is the coordinator for the Tax & Accounting Professional Seminars, AP Summer Institute, and coordinates other professional development programs. Her background includes event planning and marketing. She and her husband, Joe, live in Auburn and love it! They have two daughters, Sara and Anna, recent graduates of Auburn University. Sam Walden joined the Office of Professional and Continuing Education in the fall of 2018. Sam previously served Auburn as a member of the Office of the Registrar after retiring from the United States Army. Sam earned his bachelor’s degree in criminal justice from Georgia State University, a master’s in leadership from Luther Rice University and is pursuing a Ph.D. in Adult Education at Auburn University. Sam brings to the office over 29 years of leadership and management experience. Sam serves as the Assistant Director for Auburn Youth Programs in the Office of Professional and Continuing Education. Shavon Williams earned her Bachelor of Science degree from Troy University, Phenix City, Alabama and a Masters of Business Administration (MBA) from The University of Phoenix, Dallas Texas. Prior to her joining the Office of Professional and Continuing Education in June 2014 as a Program Developer, Shavon was an instructor for Adult Education at Southern Union State Community College. She brings 25 years of combined service in banking, compliance and project management where she has facilitated and served in all aspects/capacities. Daniel (Dong Woo) Yu earned his Master’s and Ph.D. degrees in Chemical Engineering from Stevens Institute of Technology, Hoboken, NJ. Prior to his joining the Office of Professional and Continuing Education in November 2015, Daniel was a President/CEO of two Korean Automotive Suppliers, Hanwha Advanced Materials and SCAutotech. He brings the office 30 years of expertise in the areas of automotive industry, new business development and manufacturing operations and management as well as R&D in new technology. He now serves as an Assistant Director for Global Leadership Training Initiatives.